Visualisation is not only fun but a therapy too! Visualisation is an exciting and powerful technique. Your body responds immediately to the images you create, making an almost magical transformation to your life and health. Visualisation works because your subconscious mind accepts the messages it is fed, whether they are real or not. Your mind and body will always try to align themselves as one. You can use this wonderful power to help you to control and reduce your pain. If you need some inspiration and guidance, try one of our CDs or Downloads in our Shop. There are many excellent CD and download relaxation and visualisation tracks available in our Shop but you can also visualise using your own imagination to ensure the images are just right for you. Start your visualisation by spending a few minutes relaxing. Make sure you are comfortable, warm, and have plenty of quiet time to yourself. Let your body become still and relaxed, begin to feel calm and peaceful. When thoughts come, let them go without following them, enjoy the peace. Imagine yourself floating in a warm, blue healing pool of water, either outside or indoors. Imagine the healing blueness soothing and enveloping you, releasing anything you don’t need at this moment, such as pain or an emotion. Let it all float out and away from you. Feel yourself cradled and calmed by the blue water. Imagine yourself as you would like to be: fit, healthy, strong. See yourself doing all you would like to be doing. Say to yourself as you go about your imagined activities, “Comfortable body, strong legs” or similar words with the outcome you desire. When you get up and go about your day, repeat this affirmation to yourself, over and over, day after day. You will see positive results, even if they take time to appear. Are there any memories associated with it? Is it trying to tell you something? Befriending the pain and listening to anything it may say helps to reduce any feelings of anger and resentment. The information you receive may only be fleeting, but that doesn’t matter. Use the first images that come to your mind. Make the new image positive and very strong and clear. Change a hot red into a calming blue. Reduce the size of the pain. If it seems like a tight band, loosen the band. If it seems like iron bars, soften them so they melt. Imagine healing light soothing the hurt. Be inventive and visualise the image changing until the sensations are reduced and you are more comfortable. Spend as long as you like enjoying this visualisation. You can escape to your Safe Haven at any time, especially when you need comfort and natural pain relief. 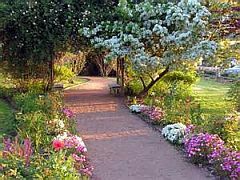 Prepare by relaxing as before (see above) and then imagine you are on a quiet path leading you down to a beautiful place of your very own that brings immediate feelings of calmness and serenity…. it could be by a river, in a garden, on a beach, a woodland glade, on a hill, or any special place at all, real or imaginary. This is your own Safe Haven. Spend as long as you like exploring every part of your Safe Haven, notice all the sights, the colours, the sounds, smells, everything that is there. See yourself exploring your surroundings, you are full of health, you walk with a spring and a bounce in your step, you do all you would like to do, you feel confident and fully alive, at peace with who you are. Continue for as long as you like. When you want to return, retrace your steps along the path, and bring back the peaceful feelings with you to your day. For some wonderful and relaxing visualisations see the CDs or Downloads in our Shop.